The Charlotte E. Ray award is presented to a woman lawyer for her exceptional achievements in the legal profession and extraordinary contribution to the advancement of women in the profession. The award is named for Charlotte E. Ray, a legal pioneer and the first African-American female lawyer in the United States. Charlotte E. Ray was born in New York City on January 13, 1850, to Charles Bennett Ray and Charlotte Augusta Burroughs Ray. Charles was a minister, and editor of the Colored American, an abolitionist newspaper. Charlotte was also an anti-slavery activist who worked with her husband to help escaped slaves travel north to freedom on the Underground Railroad. In the 1860s her family moved to Washington, D.C. where she entered the Institution for the Education of Colored Youth, the only school in Washington, D.C. that allowed African American girls to become pupils. In 1869, Howard University hired her as a teacher for its Preparatory and Normal Department, however,   Ray was not satisfied with being a teacher. Ray applied to Howard University’s Law School, under the name “C.E. Ray” to disguise her gender. University officials reluctantly accepted her application and she excelled at her legal studies, specifically corporate law. Ray graduated in 1872 and became the first African American woman to graduate from an American law school and receive a law degree. Ray achieved another first in 1872 when she was admitted to the bar in the District of Columbia, which had recently removed the word “male” from its requirements. Ray opened her own law office in Washington, D.C. but found it difficult to make a living as an attorney due to racial and gender bias. She returned to New York in 1879 and became a Brooklyn school teacher. 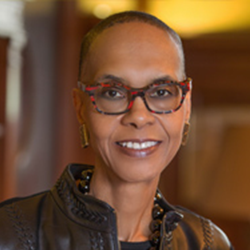 The 2018 Charlotte E. Ray Award will be presented to Michele Coleman Mayes, Vice President, General Counsel and Secretary for the New York Public Library (NYPL), at the MCCA Diversity Gala on October 3, 2018 at the American Museum of Natural History in New York.